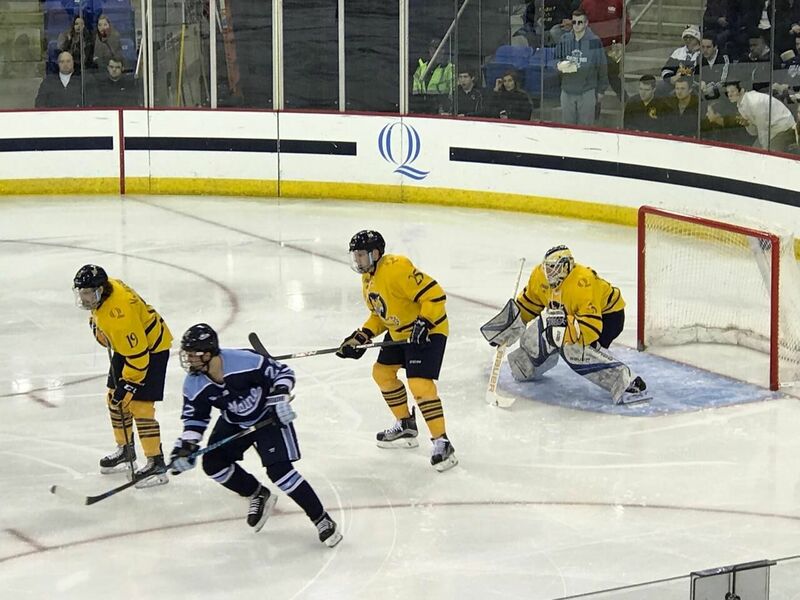 Quinnipiac University Men's Ice Hockey senior forward Tanner MacMaster has signed an amateur tryout contract with the Utica Comets of the AHL, as announced by the club in a press release. The Comets are the minor league affiliate of the NHL Vancouver Canucks. MacMaster completed the best season of his four-year collegiate career with 33 points (13 goals, 20 assists) and his 13 goals tied him for second on the team behind Alex Whelan's 16. He finished his career in Hamden with 84 points (30 goals, 54 assists) in 150 games played. He was part of two Quinnipiac teams that won the Cleary Cup for the ECAC regular season champion in 2015 and 2016 along with winning the schools first ever Whitelaw Cup in 2016 as the champions of the ECAC tournament. He also played in the NCAA Tournament twice in 2015 and 2016 with the latter year making it all the way to the National Championship game in Tampa, FL before falling to North Dakota.